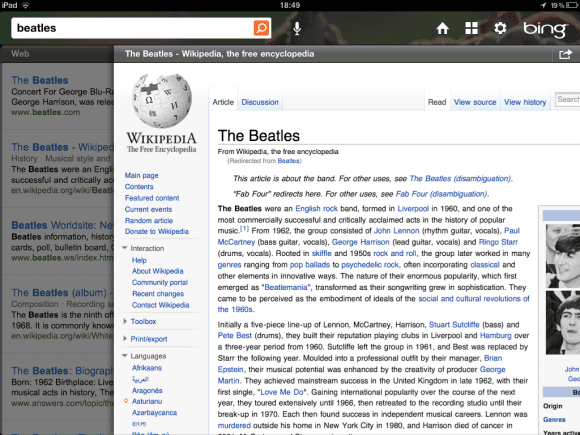 Microsoft has recently released an iPad app for Bing that's really impressive. 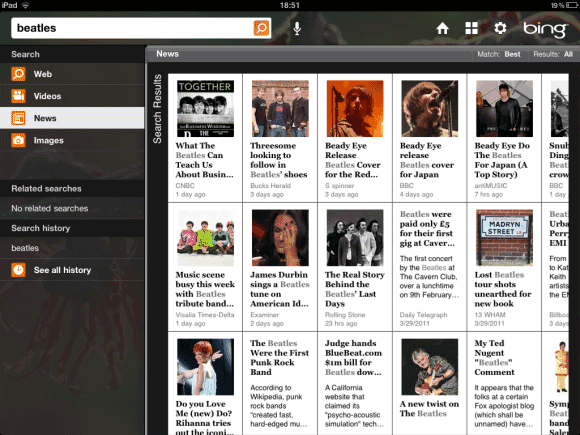 "Bing for iPad goes beyond the traditional search experience, offering a unique and visually rich way to search the Web. The app is designed from the ground up for touch. You can quickly browse news, movies, Bing homepage images, local business listings and much more – all with the swipe of your finger," informs Bing's blog. 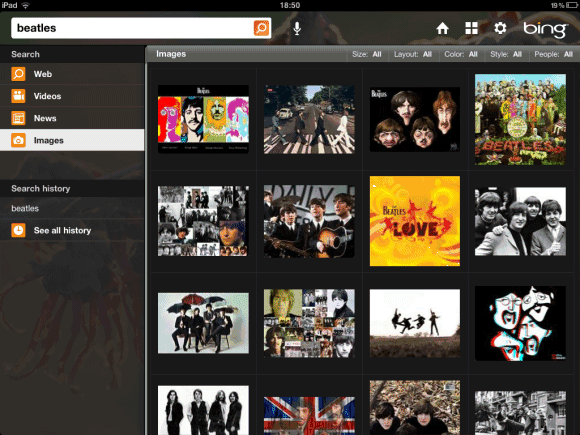 Bing for iPad transforms a bland search engine into a visual application that lets you interact with information. The app is fluid, the integration of all the specialized search engines is almost seamless and there are a lot of small features that make your life easier. For example, you can quickly highlight matches, go to the next image result using gestures and go back to the list of search results using a back swipe. Unfortunately, Bing's results aren't always great, but they've improved a lot lately. Voice search didn't work well for me and there's no visual search. 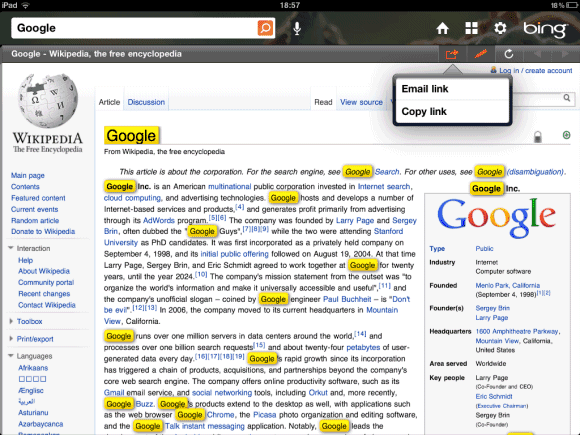 Google doesn't have a search app developed specifically for iPad, but there's a universal app for iPhone and iPad that adds features like voice search and visual search to the standard Web interface. The latest version of the app added two gestures that enhance the interface, but many users complain that they slow down the app. While Google's results are still better, Google has a long way to go to catch up when it comes to the user interface. I watched a video on YouTube on Bing for iPad and the difference between Bing for iPad and Google's offering is very striking. 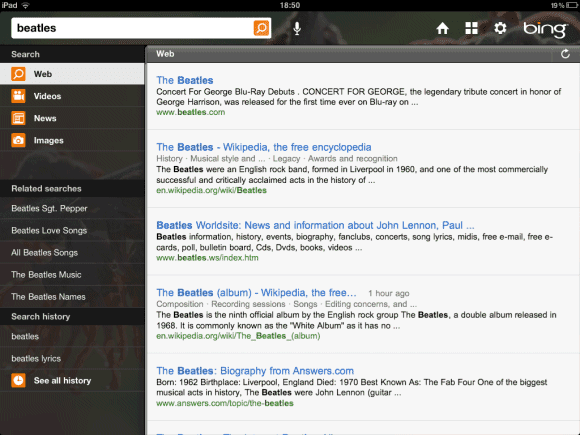 Google looks like it just displays a Google search results page, while Bing for iPad is more than that. It looks awesome. @Parkylondon: Look at this comment on YouTube. Its just ashame the rest of microsofts products are not designed so well. It looks stunning, hope there webpage gets some of the eye candy to. There are microserfs in your apples. BTW - love this blog, faithful reader! Apple has launched a new product called iPad quarter of 2010. Innovative product features are really doing a very nice property. These features and respectable brand was quite expensive and are currently between $ 500 to $ 600 depending on the package of subscription service. So, how about a free giveaway sound iPad? It's visual search for the standard Web interface. 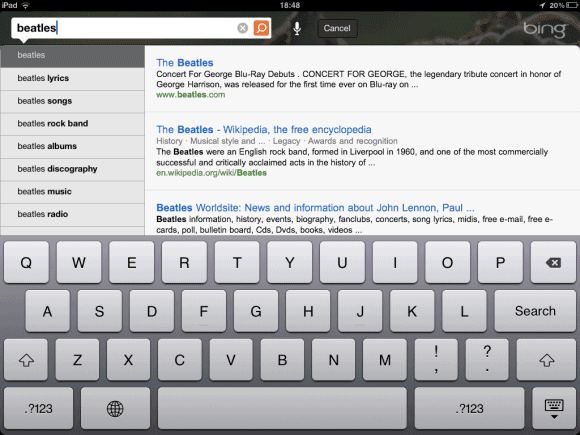 You have quickly search results using a back swipe for iPad.